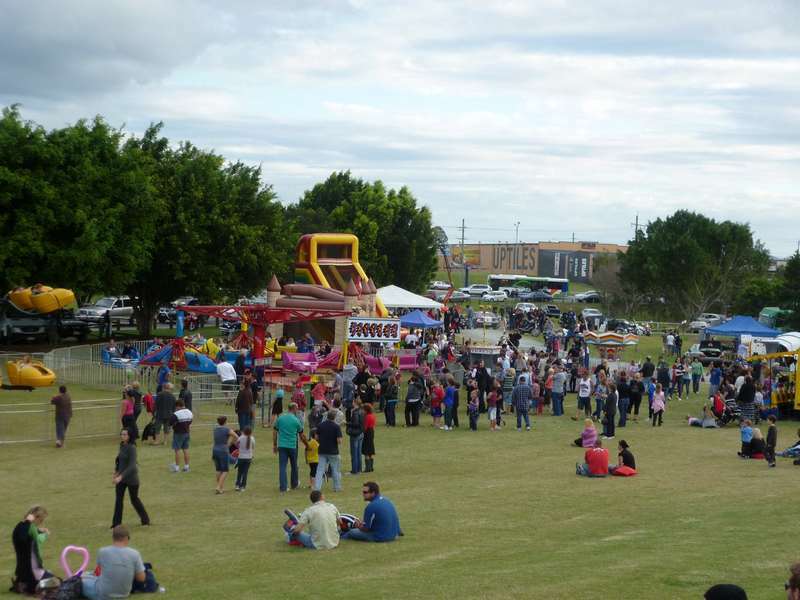 BIG SHOW QLD specialise in rides for school fetes, festivals and functions. We cater for BIG crowds with our BIG rides and BIG stage solutions. Thinking of having an Event, then look no further than Big Show Qld. With Jumping Castles, Giant Slides, Dodgem Cars, Merry-Go-Rounds, Fireworks, Staging and so much more. It’s so easy we come along set up and all you need to do is get the people to come along. We service Gold Coast, Sunshine Coast, Brisbane and everywhere in between. Enjoy, minimal queues for maximum FUN at your next school fete, festival, function and club event. We offer some of the best high-capacity mechanical rides allowing for; the easy and simultaneously loading of riders; potential to earn more in fundraising due to high turn around times and SMALLER QUEUES. Your patrons will be riding, not standing in queues waiting. Example: The Satellite – takes up to 60 children or 40 adults at once! Our Gold Coast, Sunshine Coast and Brisbane amusement rides also include slides, jumping castles, fireworks and much more. All of our amusement rides are up to current Australian Standards, are operated by fully-trained staff, are all currently registrated and we are covered with $20 million public liability insurance. Call BIG SHOW QLD NOW (07) 3282 4681 for all of your show and school fete needs. Our Service area is Brisbane, Booval, Geebung, Mount Gravatt, Springwood, Coopers Plains, Woolloongabba, Indooroopilly, Alderley, Forest Lakes, Beenleigh, Maroochydore, Nambour, Bracken Ridge, Kallangur, Northlakes, Redcliffe, Deception Bay, Narangba, Caboolture, Morayfield, Bribie Island and Caloundra, all over from the Gold Coast to Sunshine Coast.